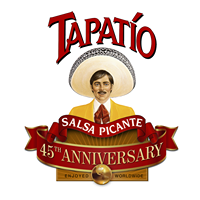 Tapatío Hot Sauce entered the business world in 1971, when Mr. Jose-Luis Saavedra, Sr. started his company. As with most great products, Tapatío’s beginnings were very modest. Still working a daytime job to supplement his income in order to cover business expenses, Mr. Saavedra leased a 750 square foot building located in the city of Maywood, CA. With only the 5 oz. size, Mr. Saavedra would visit local markets, leaving the hot sauce on consignment, a risky venture due to the fact that if the product did not sell, the merchandise would be returned and Mr. Saavedra would not get paid. The first five years were extremely difficult due to the low volume of sales and problems associated with the business of manufacturing and warehousing. Needless to say, there were some anxious moments during those first five years. It didn’t help matters much when during those tough years that were filled with hardship, friends and acquaintances would advise Mr. Saavedra to abandon his hot sauce business and urged him to find a better job. In spite of all this, Mr. Saavedra persisted with his dream knowing that he had a wonderful product on his hands. Eventually, customers began demanding and buying Tapatío Hot Sauce as part of an every day staple and things started to turn around.